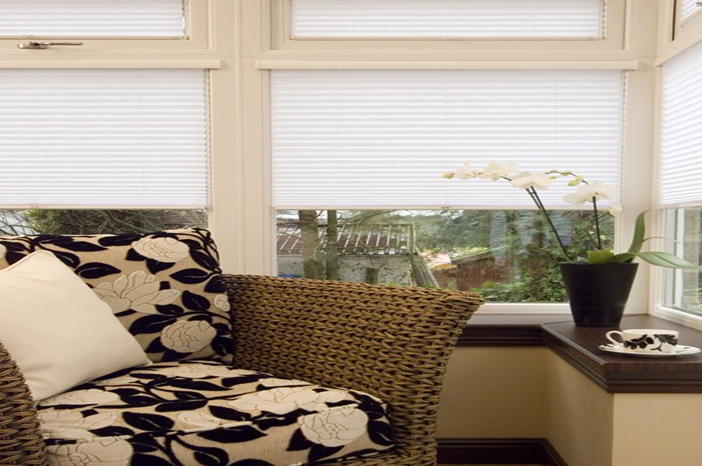 Interior Blinds really are a clean and stylish choice to accentuate your home and provide many additional benefits, beside from dressing your window. You can choose from various privacy and light level options to suit your needs, along with vast colours and fabrics to match your décor and protect your expensive furniture against fading. 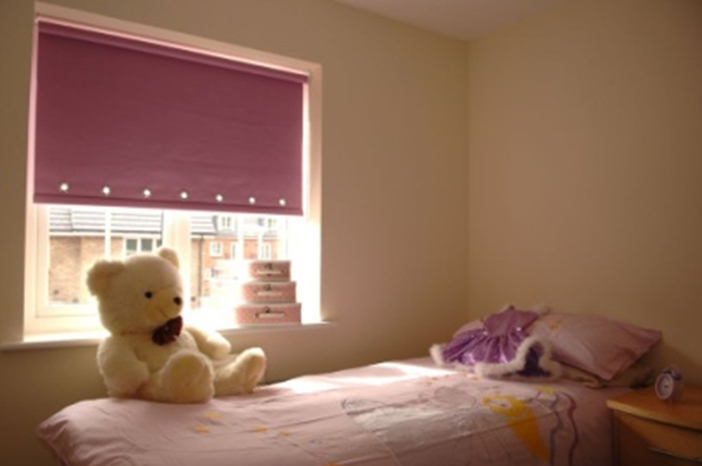 Many of our blinds are now energy efficient and we also offer child safe blinds. With our years of experience we can help you make the right choice for the right price. 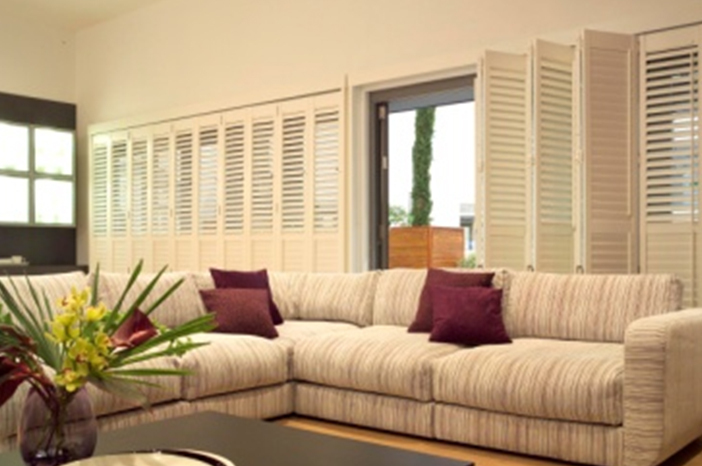 Ours are an extensive and beautiful collection of made-to-measure shutters, available in different wood types to suit a variety of needs and budgets, with a choice of five shutter styles and many painted and stained finishes and colours. 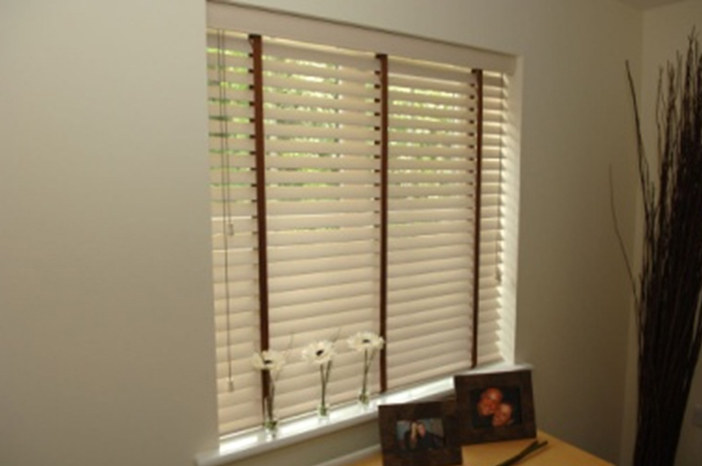 Our Wooden Venetians come in a wide range of wood slats, featuring traditional and modern finishes. 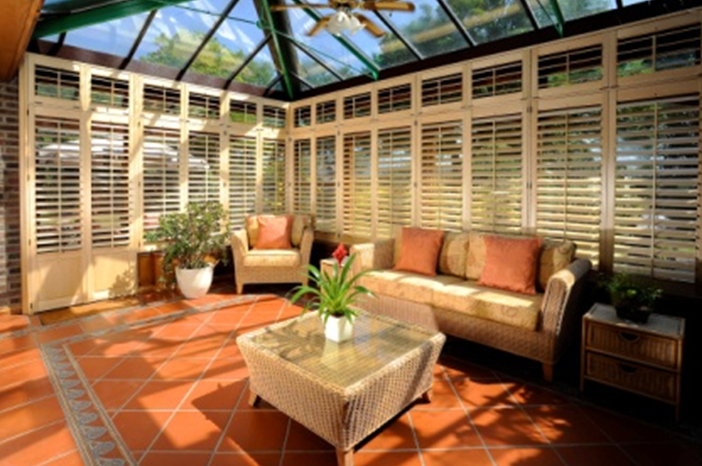 The range is available in 25mm and 50mm width slats. 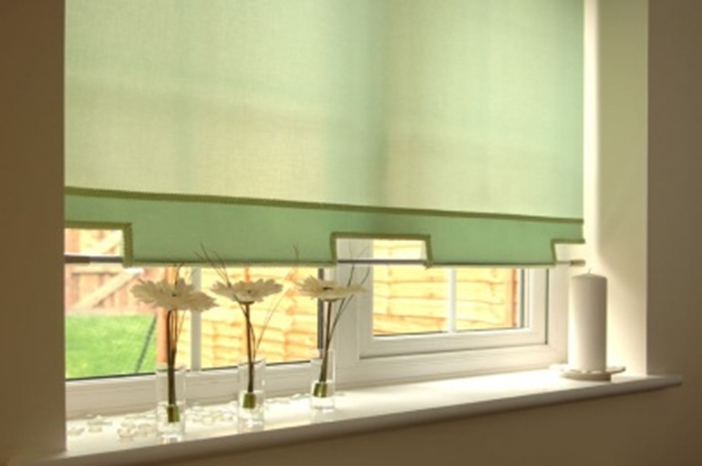 All blinds are supplied on a robust, colour co-ordinating head rail system with cord operation. 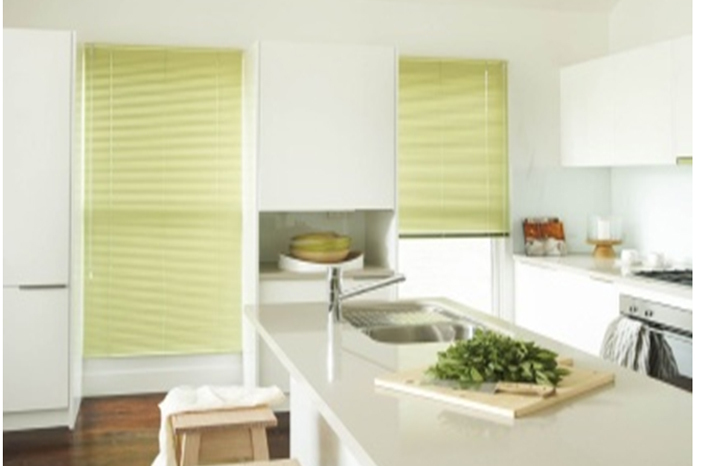 All blinds can be made with either co-ordinating or contrasting ladder braid or ladder tape. Our aluminium Venetian range of over 100 slat colours featuring various finishes and textures, with 15mm, 25mm, 35mm and 50mm width slats. 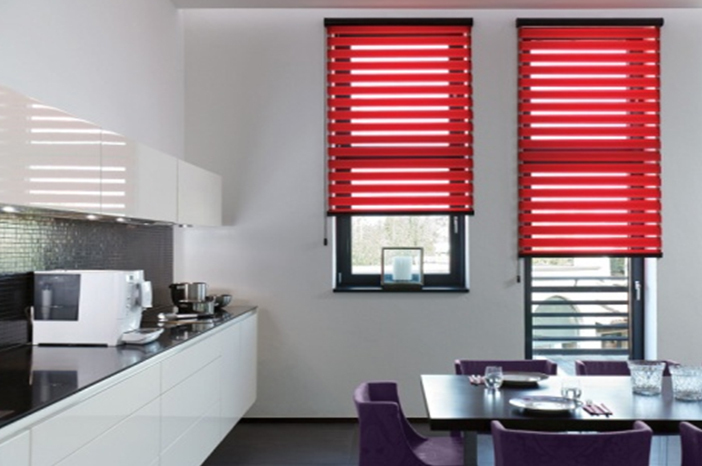 All blinds are made with colour co-ordinating head and bottom rails. Various tilt options are available, including wand, cord and uniwand. 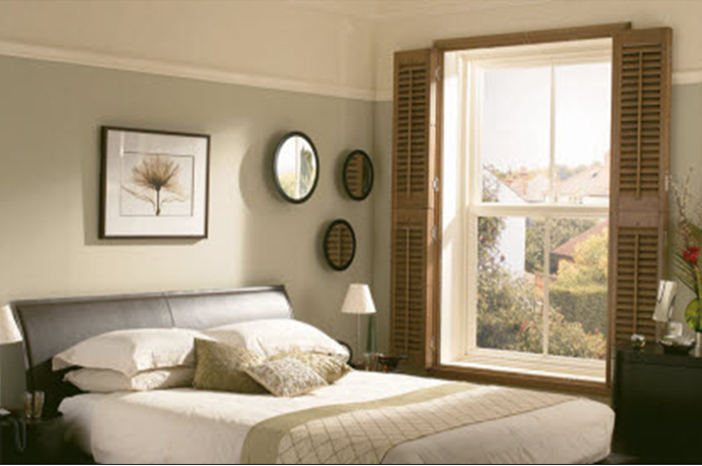 Guide wires are available for blinds fitted to tilt and turn windows. Hold down clips are available for use on blinds fitted to doors. 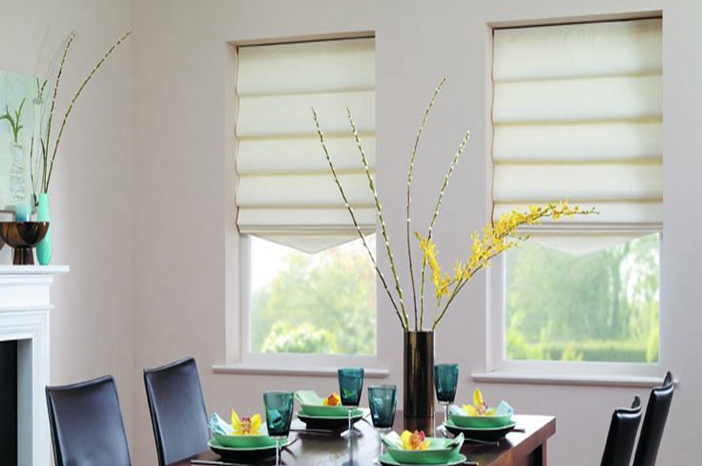 Standard roller blinds can be supplied on 32mm, 40mm or 45mm hardware with either a spring or sidewinder control. Open and closed cassette head boxes are available to cover the roller tube and operating mechanisms. These can be fabric covered depending on the head box. Fabric covered bottom bar, front and back is also an option. 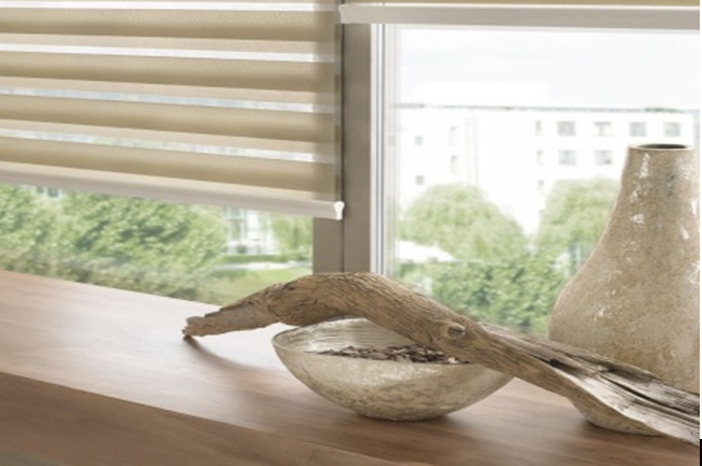 We have various scallops, poles, finials and braids available to allow you to enhance the look and feel of your blind. Hundreds of fabric choices are available to suit all domestic and contract applications. 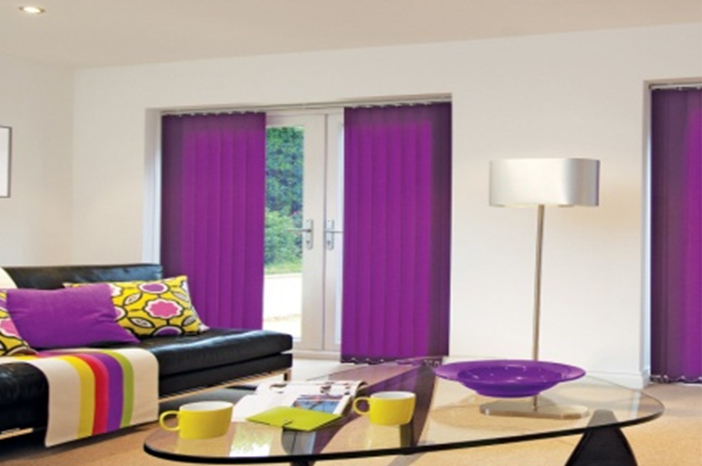 Ranges include antimicrobial, flame retardant and performance fabrics. 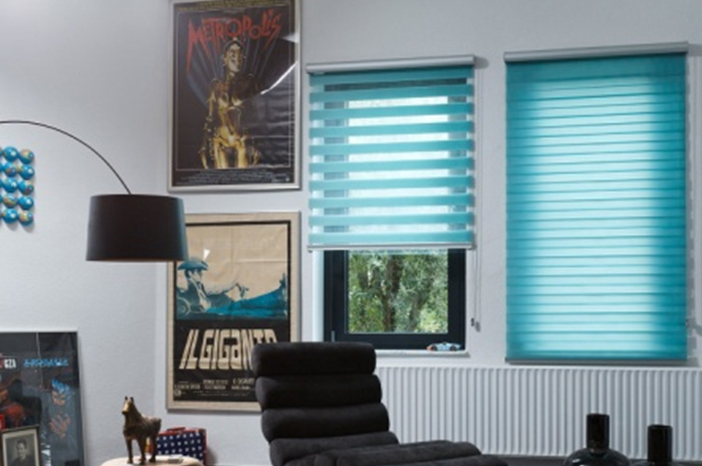 Our Roller blinds can also be motorized. 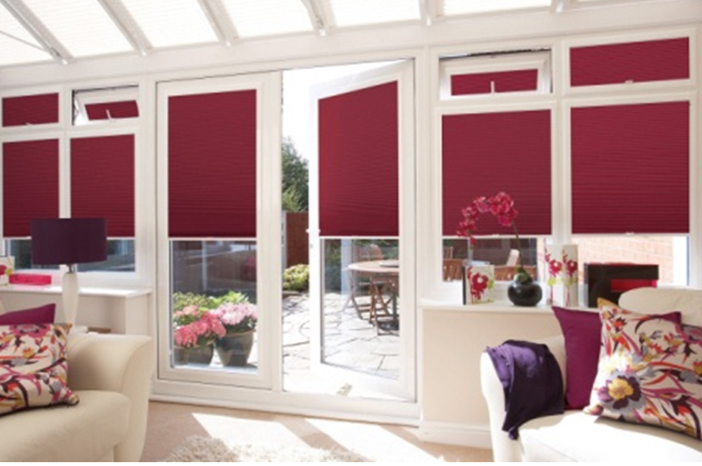 Our Duorol is a ‘double roller blind’. Its effect comes from shifting the fabric stripes up and down using a chain operation. 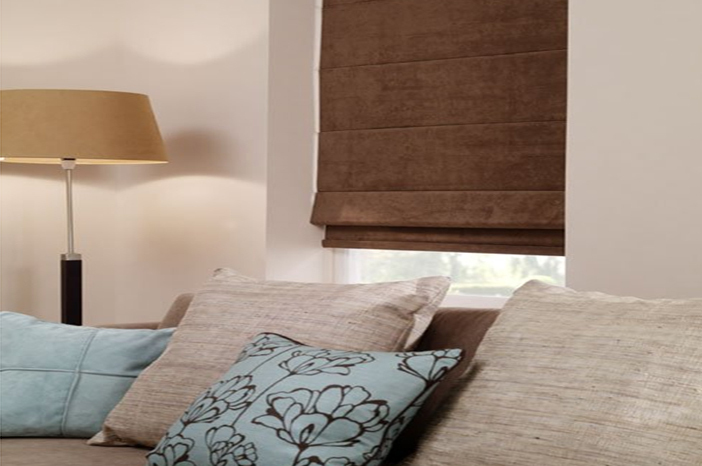 A range of over 50 contemporary fabrics are available, a number of which are flame retardant. 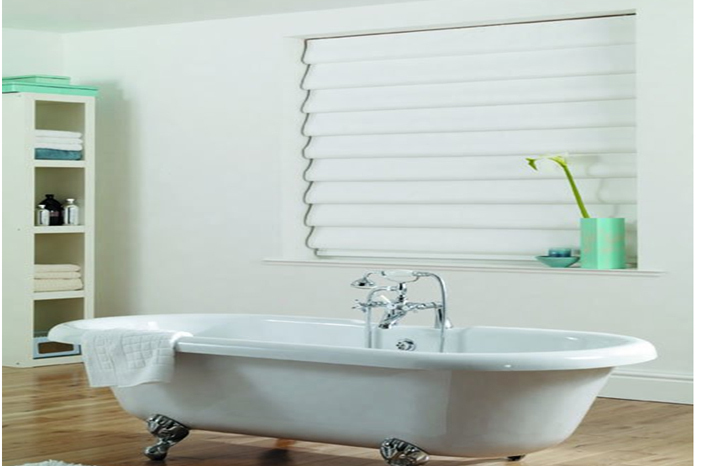 Duorol blinds are supplied on an aluminium cassetted head box which is available in white, silver, black, cream or brown. The bottom bar is supplied as a two-part bottom rail, but if a more minimalistic look is required, a one piece bottom bar can be requested. 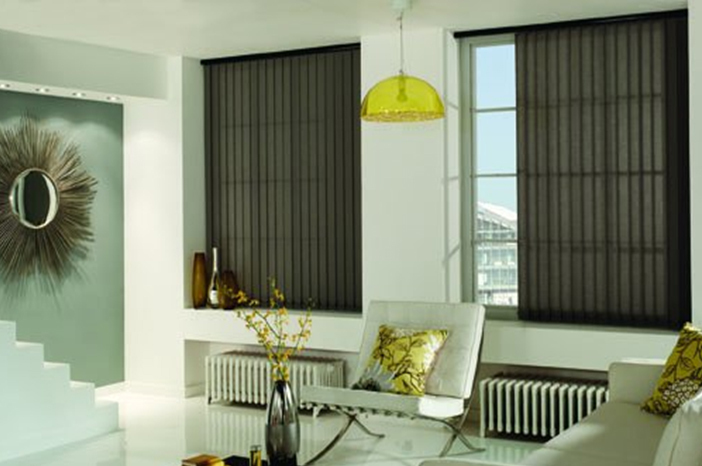 Vertical blinds are available on either the Impala or Vogue head rail systems. The Impala head rail is available in white, silver or brown. The Vogue head rail is available in Ice White, Piano Black, Champagne Gold, Espresso Brown and Brushed Aluminium. 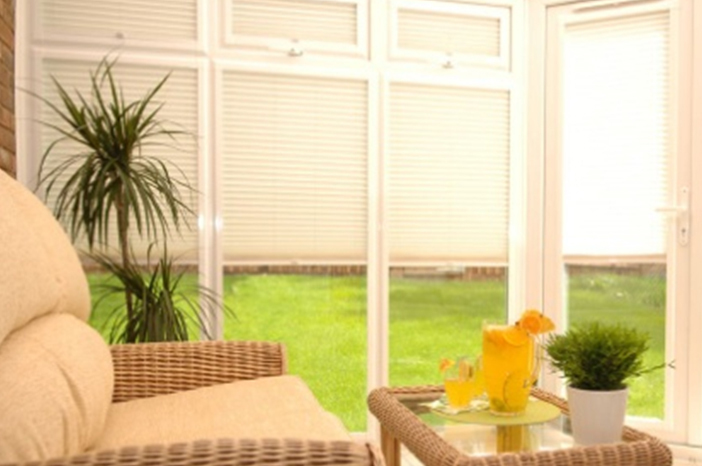 All blinds are supplied with equally spaced 89mm or 127mm louvres. 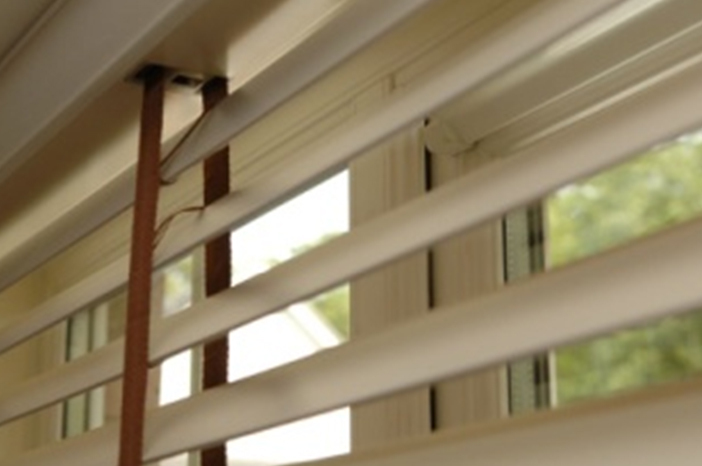 Blinds can be operated using a chain and cord or wand on both the Impala and Vogue head rails. Antimicrobial head rails and fabrics are available. These are particularly desirable in hospitals, doctor’s surgeries and other public areas. We offer a choice of hundreds of fabrics from all of the UK’s leading fabric suppliers. 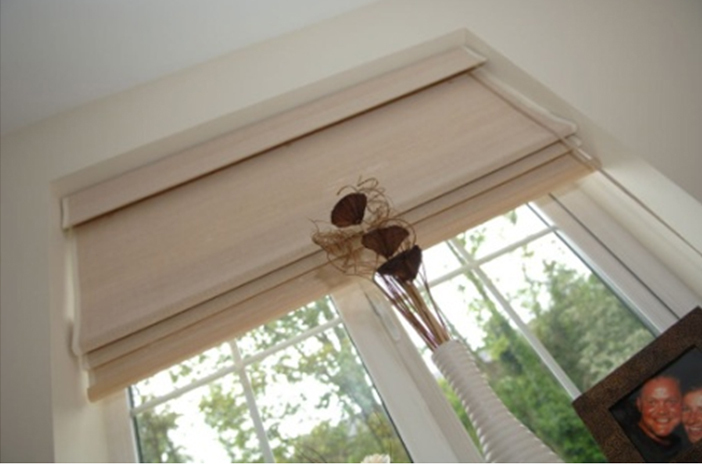 A luxurious, on trend, high quality roman blind supplied on a robust yet sleek head rail with side chain operation. 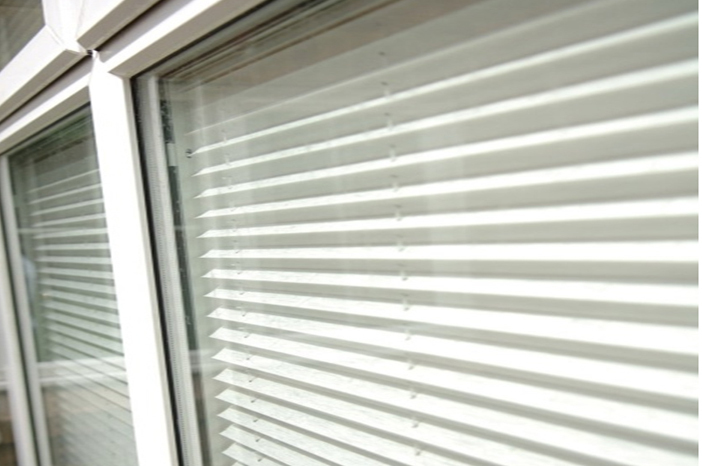 Blinds are supplied with bonded blackout lining as standard. Other linings available: satin, blackout satin, bonded and flame retardant. 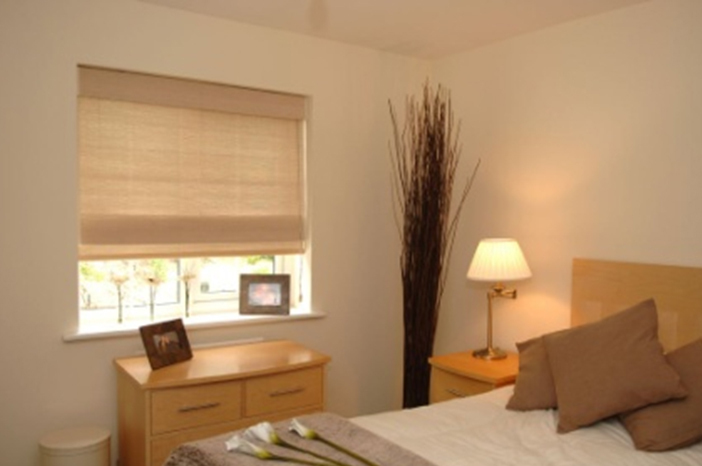 Roman blinds can be supplied with or without pelmet and with standard or waterfall stacking. Hardware for this product is available in white or brown. 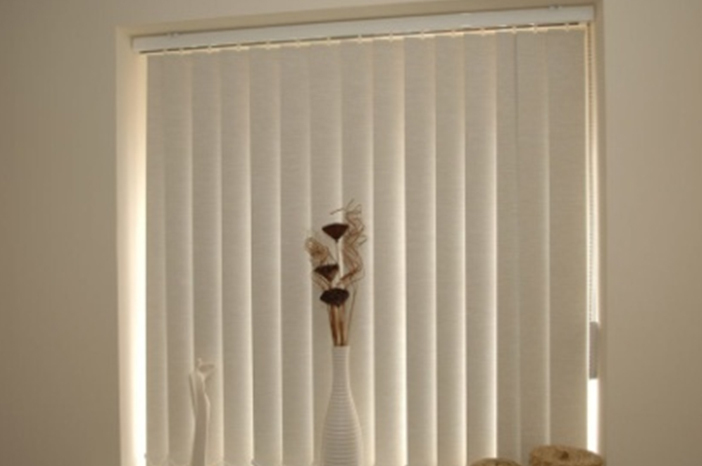 All blinds are supplied with Unipleat as standard. This is a system which prevents the pleats from gathering at the bottom of the blind. Blinds can be made free hanging with a cord lock, or tensioned using a bottom rail or locating feet. Vast choice of fabrics to suit all applications, which really provide a stylish finish to your conservatory or Glassroom. 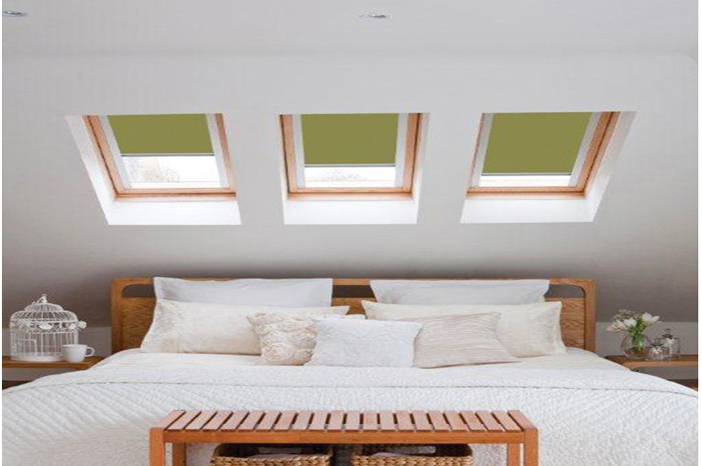 Our roof blinds are for use in Velux, Rooflite, Fakro and Keylite roof windows. 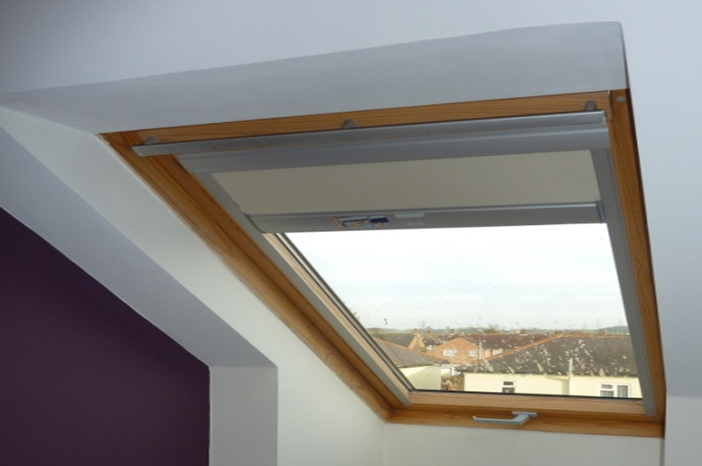 The roof blind is a tensioned roller blind that can be raised and lowered by hand or using an operating pole. Hardware is available in silver. Extensive range of wood and bamboo designs. All wood and bamboo has been carefully selected from sustainable forests around the world. 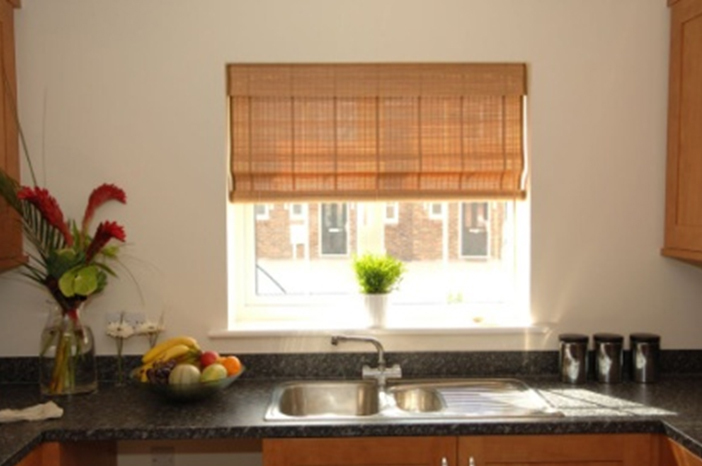 Woven blinds are supplied on a deluxe head rail with a cord lock. 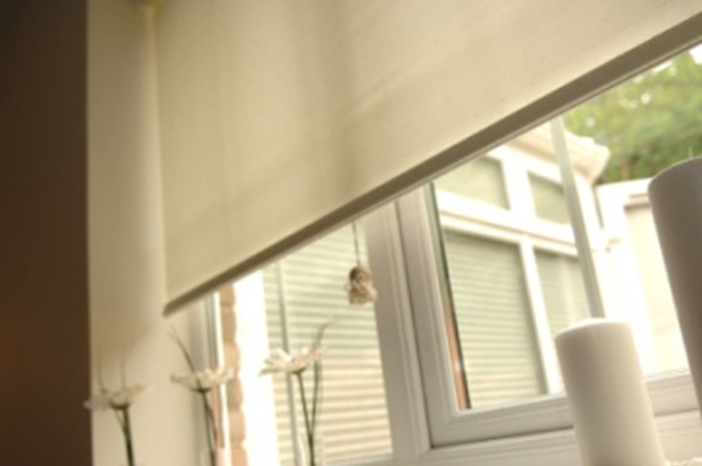 An innovative blind that requires no drilling or screwing. Brackets fit neatly into the beading of the window frame. Suitable for windows with a bead depth of 18, 20, 24 or 30mm. 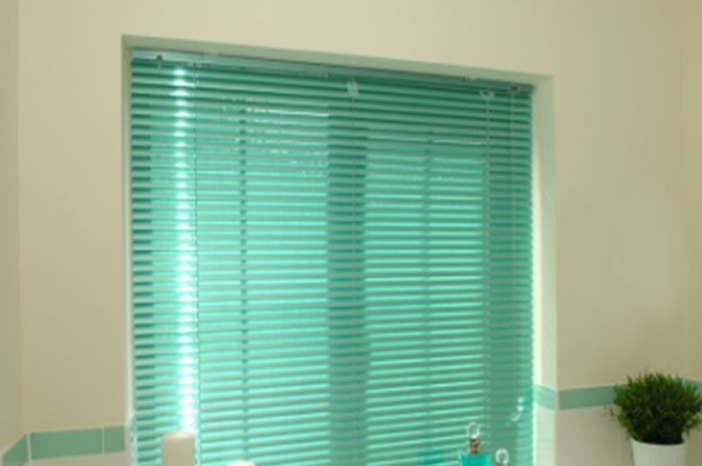 Perfect Fit is available as a roller, pleated or venetian blind. The Perfect Fit frame provides increased privacy and improved light retention. 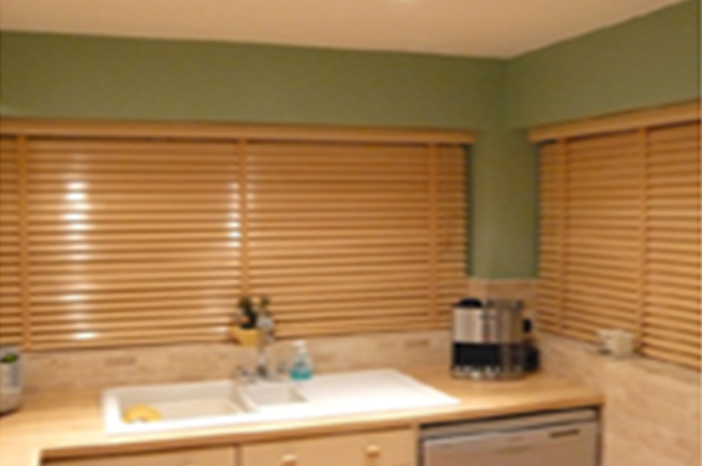 Tensioned venetian blinds, pleated blinds and roller blinds are child safe as there are no cord loops. Perfect Fit frames are available in white, silver (not roller), grey, brown, brown mahogany and golden oak.